On these days, we will meet at the McDonald's in Takyo. We start running at 8:00am. You can run 5km or 10km, your choice. This is a run for everybody, any skill level. You can be a beginner runner! People of all ages, including children are welcome to join. 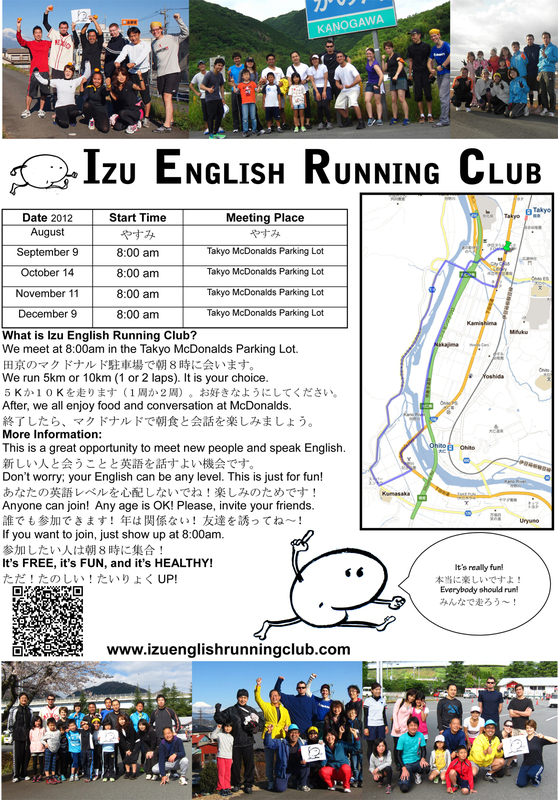 After running, we'll eat breakfast together at McDonald's and have fun conversations. August is やすみ.We are taking a break.